According to new research, the most beautiful British women in 2011 stand at an average of five foot five inches tall, have blue eyes, dark brown hair, and are actresses by profession, according to an analysis of the top one hundred most beautiful British women of all time. 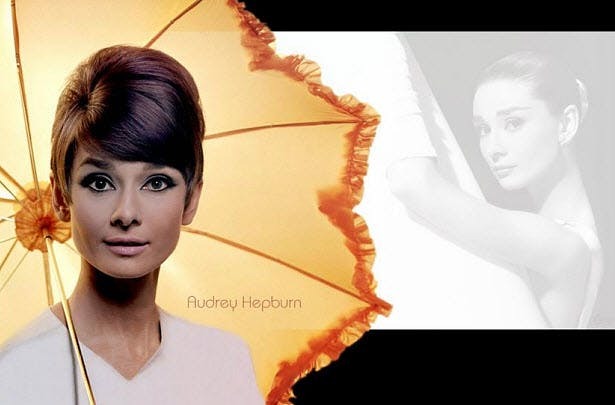 Meanwhile, Audrey Hepburn has been named as the most beautiful British woman of all time. She tops a leader table that includes beauties such as Twiggy, Cheryl Cole, Kelly Brook and Princess Diana. The QVC Beauty Survey also found Cheryl Cole, Kelly Brook and Holly Willoughby making the top ten. The new Duchess of Cambridge (12th) came in higher than Kate Moss’s (29th) while Catherine’s sister also pipped the supermodel to the post coming in 28th place. Blue eyed Brits appear to have beaten brown eyed girls to the top beauty spots with just under half of the top one hundred being blessed with blue eyes compared to only thirty nine brown eyed girls. Stepping over to the dark side is obviously the way forward with fifty three brunettes dominating the top one hundred versus only forty three blondes, leaving Dr Who’s Karen Gillan, model Lily Cole, singer Nicola Roberts and award winning actress Tilda Swinton flying the flag for redheads. Actresses meanwhile seem to have the edge on any other profession in the beauty stakes as forty six of our top one hundred are thespians by trade, this is compared to eighteen models, sixteen singers, thirteen television presenters, two members of the British Royal family (with one other relative of the Royals), one chef, one athlete, one designer and one beautiful ballet dancer.